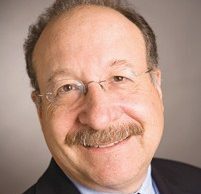 Moorpark-based PennyMac Financial Services said profits rose to $51.4 million on revenue of $130.4 million for the second quarter, beating Wall Street expectations for both measures. PennyMac Financial was founded by former Countrywide executives after that company was acquired by Bank of America. It produces and services mortgage loans in addition managing investments. One of its primary investment customers is PennyMac Mortgage Investment Trust, a separate public company that invests in mortgages and shares the same executive management with PennyMac Financial. PennyMac Financial said its net income attributable to common shareholders was $9.6 million, or .45 cents per diluted shares, a more than doubling from 22 cents for the same period a year earlier. A survey of five analysts was expecting 41 cents a share. Revenue beat the previous year’s figures by 22 percent and was well above the analyst estimates of $114.6 million. “We believe that our organically built platform, combined with a strong compliance and governance culture, distinguishes PennyMac among mortgage companies,” CEO Stanford Kurland said in a press release. PennyMac Mortgage also reported that profits were $75.2 million, or 93 cents per diluted share, for the second quarter of 2014 on net investment income of $120.6 million. Those figures were up 8 percent and 4.3 percent, respectively, from a year earlier. PennyMac Mortgage also said that it paid a cash dividend for the second quarter 59 cents per common share of beneficial interest. 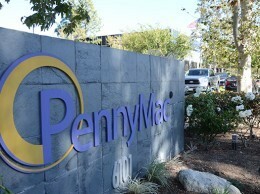 PennyMac Mortgage’s shares were up slightly to $21.16 in after-hours trading after the earnings were announced Aug. 6. PennyMac Financial’s shares were down slightly to $14.89.